Get top-quality auto repair and maintenance services from Road Runner Auto Repair. With more than 25 years of experience, our certified technicians provide expert repair and maintenance services in a state-of-the-art facility. From engine repairs to factory maintenance work, we provide a variety of auto services to keep your vehicle running smoothly and your satisfaction is our number one priority. 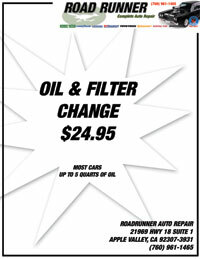 If your vehicle is powered by the new LR-V8 engine, you will need synthetic oil to keep it running. Only your authorized Retailer can provide it. 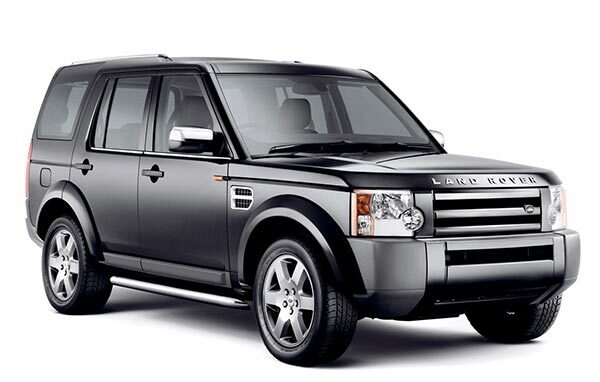 This will help the engine meet its performance and fuel economy targets while also extending its long-term durability. To make sure your ownership experience is as rewarding as possible, we strongly suggest that you consider Genuine Parts, should the need for replacements arise. Each Genuine Part is designed, engineered and tested for optimum performance, safety, durability and reliability. And each can be obtained from Roadrunner Auto Care.